Commanding the stage in a one-person show is a daunting undertaking. Even more daunting is the attempt to command the movie screen with such a show. But David Drake, reprising his roles as writer and performer of this Obie Award-winning monologue manages that feat to a praiseworthy degree under the intelligent direction of Tim Kirkman… preserving not just a performance, but the spirit of a time. 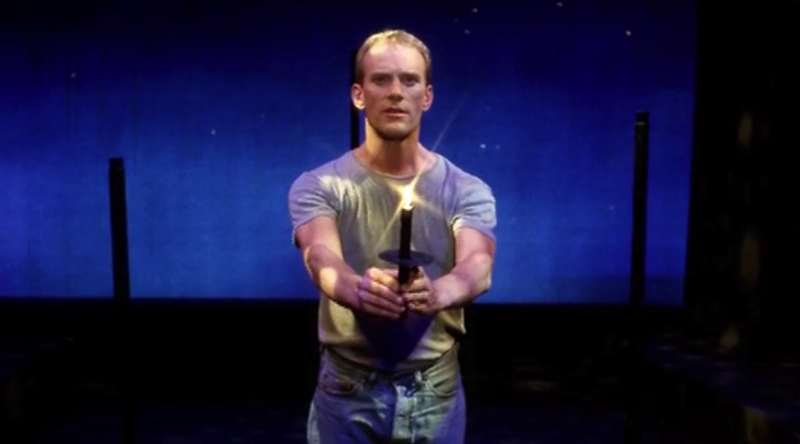 Written and performed by David Drake, THE NIGHT LARRY KRAMER KISSED ME is one of the longest-running solo shows ever to hit the stages of New York City and went on to be performed in theaters all over the world. 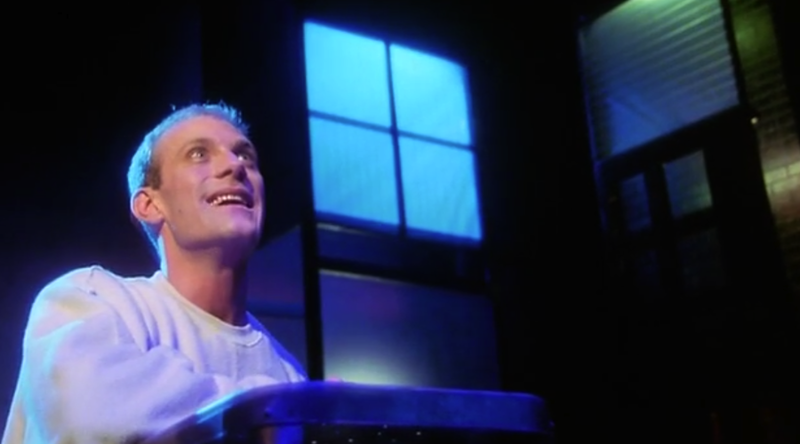 Tim Kirkman’s film, a performance documentary, interprets the work for the cinema and was filmed in part in front of a live audience at Baltimore Theater Project in 1999. The film premiered at the London Lesbian and Gay Film Festival in 2000 and played in dozens of festivals in the United States and around the world. After a limited theatrical run, it was distributed by TLA Releasing. THE NIGHT LARRY KRAMER KISSED ME was produced by Michael Caplan and Kirkland Tibbels.